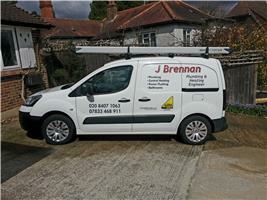 J Brennan Plumbing & Heating Engineer - Central Heating Engineer, Plumber based in Coulsdon, Greater London. Fully Qualified Plumbing and Heating Engineer, Gas works 10 years. With over 20 years in the building Industry. I offer some free advice over the phone. Thank you for looking at my profile, kind regards Joe Brennan, J Brennan Plumbing & Heating Engineer. Coulsdon, Caterham, Reigate, Redhill. Croydon, Godstone,Lingfield, Oxted,and surrounding areas .